Hello my dearest fashion reader! I'd like to share with you a marvelous Winter 2018 collection of comfy and glamorous dresses you can wear in your everyday life. Trust me, there are plenty of fashionable outfits completed with a dress you can create this cold season. These frocks will help you survive chilly Autumn season days, as well as freezing winter months with style. Of course, you still need to style your dress with tights, trendy boots, fedora hats and scarves for more warm and cozy look. The accessories should be well chosen and complete the outfit. I have collected fabulous Polyvore fashion sets you all can get inspired by. All in all, I rounded up my favorite styles you can try this year. Would love to see your comments below. Cream-white spaghetti strap slip-dress is covered with a black fur coat. Complete this combo by adding pointed-toe black glossy pumps and cool black leather folded clutch. If you want to look chic and trendy, then you definitely should give a try to these awesome fur coats looks that can easily update your Winter 2018-2019 attire. You all should update your cold season wardrobe with something warm and cozy. The fur coat is considered to be the most sophisticated outerwear piece that every woman needs, no matter what is her age, social status or body shape. In today's blog post I decided to share with you my favorite fur coat designs, including dark and bright color versions in short, middle and long length. I have selected warm and stylish outfit combinations you can wear during freezing Winter days. If you want to add a touch of sophistication to your overall look, then fur coat is one of the best choices you can make. Why do I like this outerwear piece? It's all because of its coziness and comfort. Trust me, there will be no problem for you to find an appropriate design, color and style, as modern brands offer its clients a wide selection of styles, designs and colors. When I hear the word fur, glamorous outfits come to my mind. The soft and sensual material will give you a perfect look and best comfort. You can match these outerwear piece with both elegant and casual clothes. Indeed, you can dress is down by pairing it with your favorite sneakers and jeans. What you think of this wardrobe piece? Let me know your opinion in the comments below. Keep it glamour and sophisticated! All you need is a cropped fur coat styled with spaghetti strap chiffon black camisole, black leather high-waist leggings, cut-our stiletto sandals, blackout sunglasses and leather satchel bag. It's time to keep yourself warm and stylish, as I am here to share with you stylish outfit ideas completed with trendy scarves. Yes, it's officially scarf weather and you better be ready for this Fall 2018! Trust me, looking stylish has never been easier, all you need is to add a pretty and warm scarf to your outfit and create your one and only desired fashionable look. Scarves are a perfect choice and solution for chilly and windy days. This is a must-have accessory for cold temperatures during cold Winter 2018 months. Chilly weather dictates its own rules, forcing us to wear wool, knit and cashmere pieces. I think everyone's gonna agree with me that this little addition makes us look unique and creative. In this compilation you can find your one and only scarf you can wear in your everyday life or during special events. Keep your outfit stylish and warm with these trendy Polyvore fashion sets I've got for you in this collection. Scroll down and let me know your thoughts. Thanks! Cream-beige wool scarf looks awesome styled with grey crop sweater and knee-ripped light blue boyfriends. I've got amazing ways to wear parka this Winter 2018-2019. 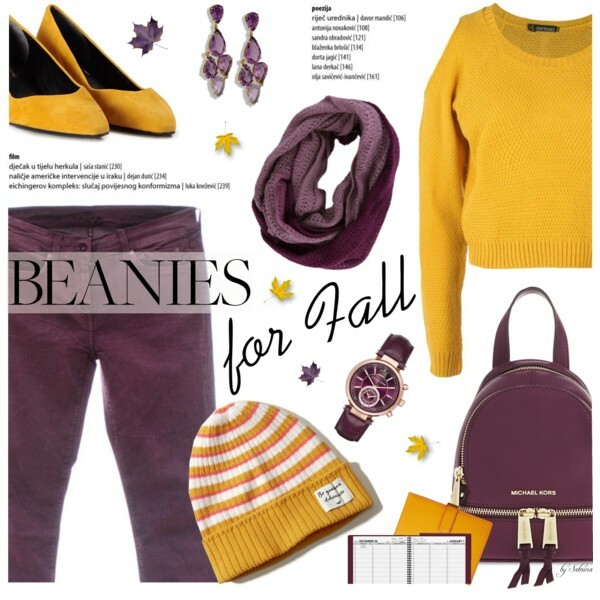 In this collection I gathered my favorite Polyvore sets you all can inspire by. It's an ideal time to update your Fall season wardrobe by adding outerwear pieces that will keep you warm and cozy. I am talking about warm and stylish jacket called parka. This is a must-have for those who want to look and feel special. You can style it in different ways. For instance, you can make things look casual, by adding casual basics, like snow boots, warm sweater and classy jeans, or keep it smart-casual with a slim-fit pullover worn atop blouse and teamed with slim jeans or trousers. You can wear this jacket to work, school, during casual street walks, to casual or cocktail events, etc. I personally use to wear this outerwear piece with turtleneck, jeans and snow boots. It seems like you can find parka jacket in almost every color, starting from classic green and khaki olive, to red, yellow and black. You can make things look voguish by wearing your favorite parka with animal print or gold color accessories. Anyway, let's have a close-up look through tese ideas and let me know your thoughts in the comments below. Thanks! 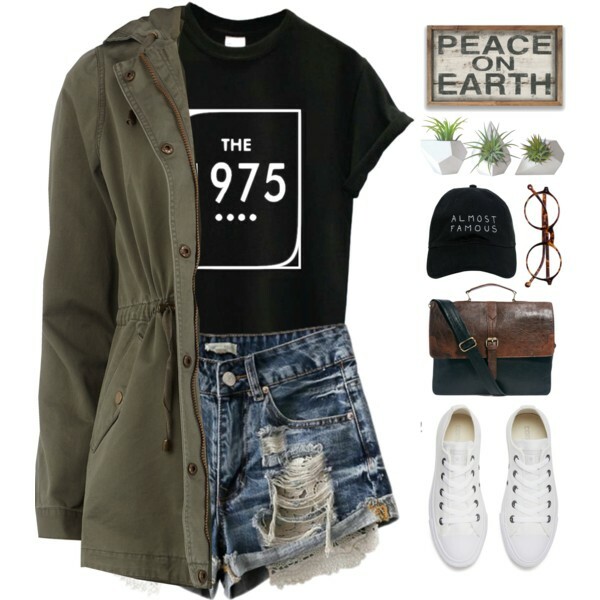 Sure, everything depends on temperature, if it's not so cold, you can go for a lightweight combo...you will need khaki-green hooded parka, ripped denim shorts and black T-shirt. Complete it with white trainers.